You know you’re truly a grown up once you start taking care of other things besides yourself like for instance, houseplants. For years I thought my black thumb was preventing me from enjoying luscious greenery in my home, but it turned out, I was wrong. You see, it’s not that difficult to grow a houseplant once you choose the right one. Plus, I have killed enough plants in the past to know which species are difficult and which ones are super easy to take care of. Today, I’d like to introduce you to the high impact member of my low maintenance green family – the rubber tree plant. Besides being very undemanding, another reason the rubber tree plant is so popular is its ability to make a big statement with its large, glossy leaves that beautifully reflect light. Given the space to grow, this plant can assume a wonderfully sculptural form, making it a major focal point in an interior. If you want to make this ficus plant a striking part of your home décor for years to come, here’s what you need to know. A requirement for any plant to thrive is finding the right soil. Rubber plants are not very fond of moisture, so a well-draining and well-aerated potting soil is incredibly important. A good mix is one part peat, one part bark and one part coarse sand or perlite. If you’re worried you won’t get it right, you can purchase a rubber tree plant for sale together with the right potting mix. 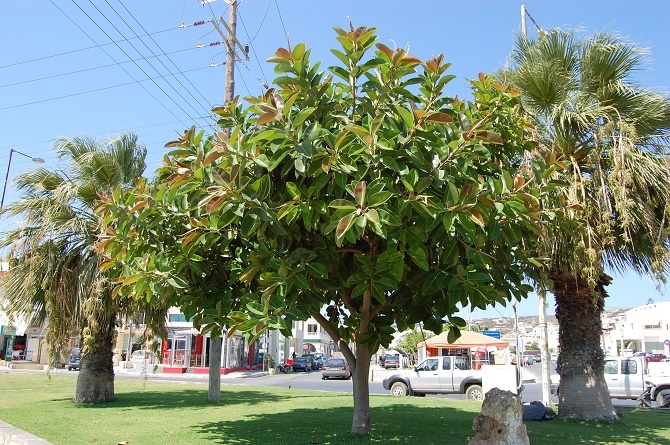 The nice thing about the rubber tree plant is that it can survive in all kinds of light conditions, which allows you the freedom to move it around wherever you like. However, in order to get the most out of your plant, it’s good to place it somewhere where it can receive plenty of brightness, but not direct sunlight. 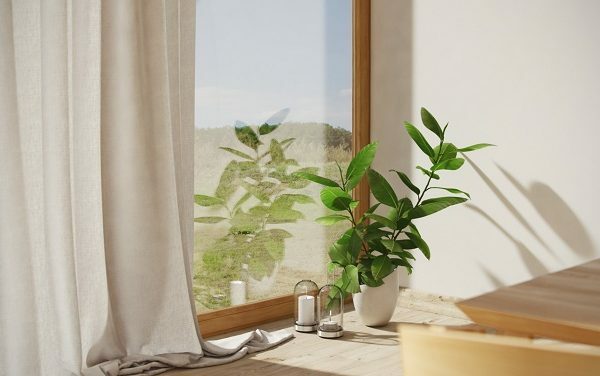 For instance, a sunny corner in a room that’s shielded by a sheer curtain can be the perfect spot. Some telltale signs that the plant is not receiving the right amount of light could be it becoming leggy, or if its lower leaves lose their lustre and start to fall off. Rubber trees’ watering needs vary according to the season and quality of air. In the summer and any time the air is too dry, the plant should be watered deeply to keep its soil moist enough. Once the cold settles in, the plant can survive being watered only once a month. However, if the air is too dry during winter, remember to mist its leaves or wipe them with a damp cloth from time to time. Fertilize your rubber tree during the summer season only, as is normal with most indoor plants. Once you see how gorgeous your new rubber plant is, you’ll probably want several of them in your home. But don’t go looking for another rubber tree plant for sale just yet! The great news is that this is one of those plants that you can just hack a piece off, stick it in soil and it will start growing after some time. If you want to increase your chances of success, allow the sap to dry before planting the cutting in.